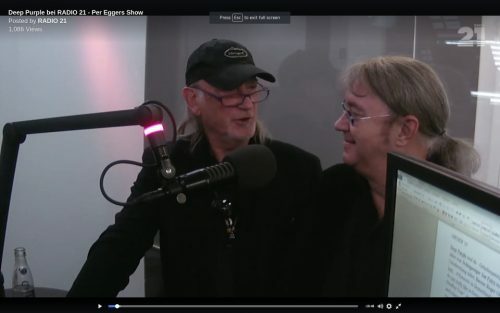 Ian Paice and Roger Glover were guests on German Radio 21. And it resulted in an entertaining 20 minute interview, in which they were asked about their favourite drinks, what smartphone app gets the most use, which person they’d like to become for a day, and a whole bunch of other amusing nonsense. You can watch the interview on facebook. The introductions and chatter are in German, but the interview itself is in English.